I've used Warmest Wishes and added some sequin snow. I completely misjudged the number of sequins and wish I'd used more...maybe we can say the snow's melting... 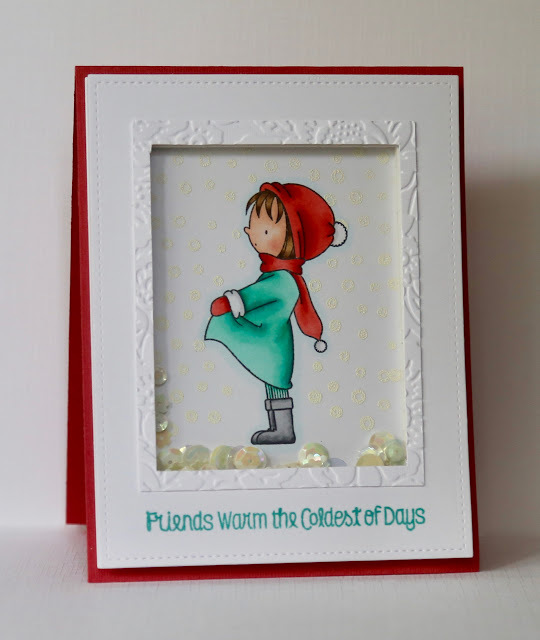 I used my Silhouette to create the frame and then embossed it to add some subtle texture. I always struggle with shaker cards - it doesn't seem to matter what I do, some of them still get stuck along the sides and refuse to budge!